Apps are the latest trend for business houses to reach to the masses. Having the mobile App is easy but keeping the users is difficult. A lot of time and amount is spent for making an application. Marketing strategies are involved in making it popular. There are so many mobile apps we have in our mobile but we use only a few of them. That is the reason a designer should be cautious while designing the mobile apps onboarding designs. 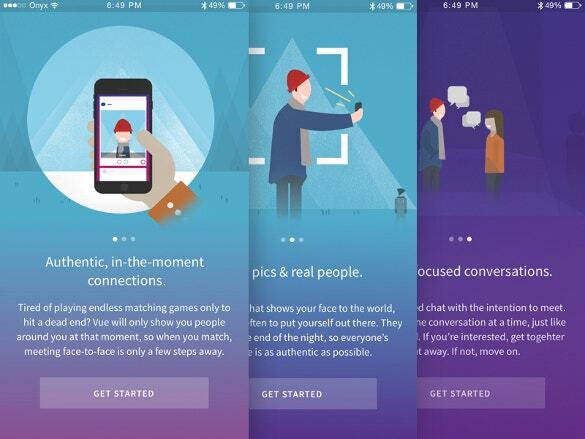 Onboarding is a set of activities which turns first-time users into active ones. It should please the audience in such a way that it convince them to use it for a longer time. That is the reason a designer should make excellent mobile onboarding designs which are easy to use and uncomplicated. In Spite of having great services, many Apps fail to please the users because of bad onboard design. 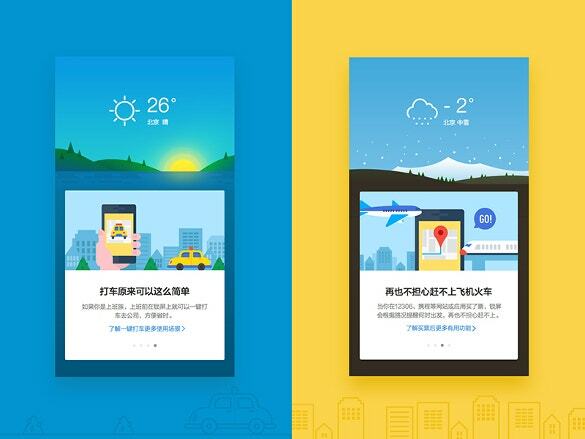 You can also see Android App Designs. The application must have an interactive walk through and proper permissions from the users. A simple or with an easy login facility does not confuse the users. It is always best to have human service support for a good mobile apps onboarding design. 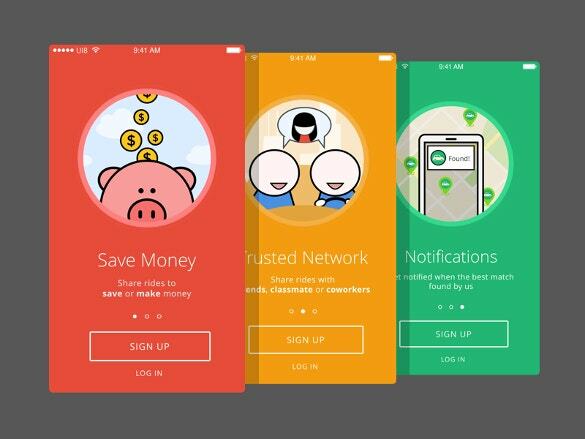 Here are the top ten mobile apps onboarding designs for inspiration. 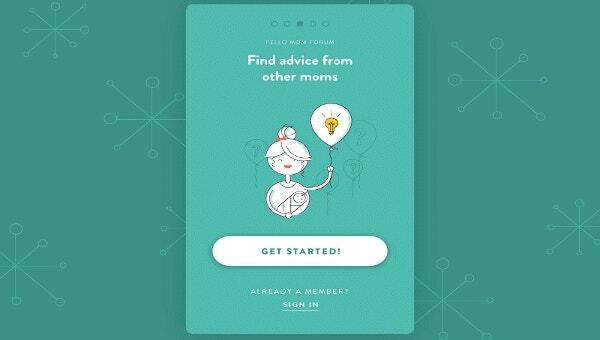 ModMom is designed by Staci Carpenter. Her unique design has a colourful screen which keeps changing with the screen and text. It has got the bright illustration which looks pleasing to the eyes. 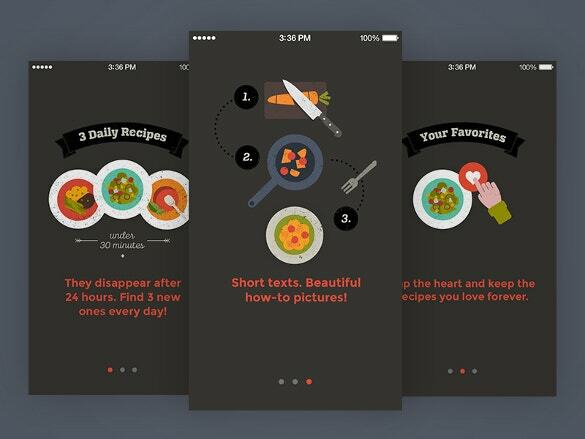 This App is a recipe application. If you are working on recipe or foods application this application is good for inspiration. It has got good illustrations in it. It is defined by Eva Hoefer. This beautiful illustration is by Wen Hui Yu. she has got another classic color combination in her app. The style used is simple and elegant. This application designed by Anandu Sivan has a unique design. The illustration in the applications are different from the usual ones you witness normally. This design is inspiring. Vue is an app that allows you to connect with those around you in real time. It is designed by Ray Martin. The choice of colours is fabulous. This is a social networking app. This app has got the grey theme. It is designed for finance app. It has got simple illustrations. It is designed by George Gao. 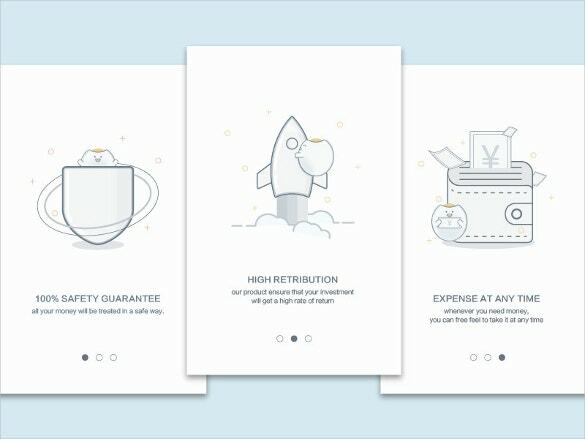 This application is worth an inspiration for the designer working on finance app. 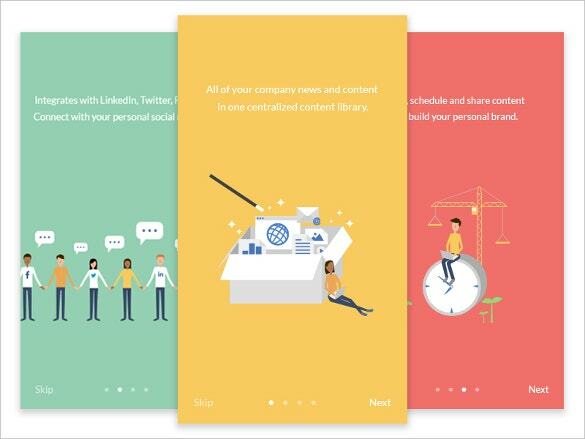 This App onboarding mockup is designed by Min. the colour and the theme is chosen for the application are catchy. The designs are very person-centric. This application is designed by Xiu Yuan. This onboarding design is for screen-lock. It fits for travel and weather App as well. The colours are appealing and worth a try. 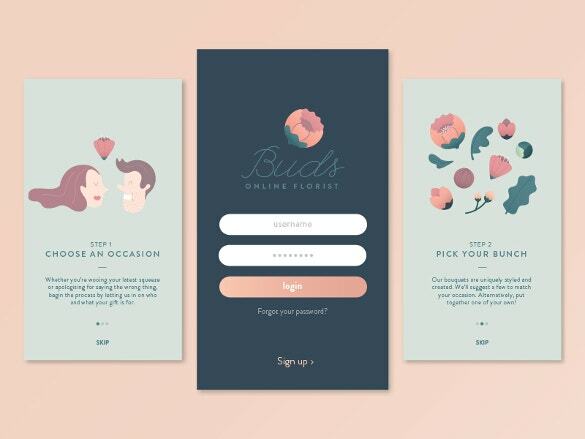 This is a conceptual design for the florist mobile app called Buds. the illustrations are unique and beautiful. It is designed by Jocelyn Crankshaw.the colour opted for this florist App is adding more beauty to it. 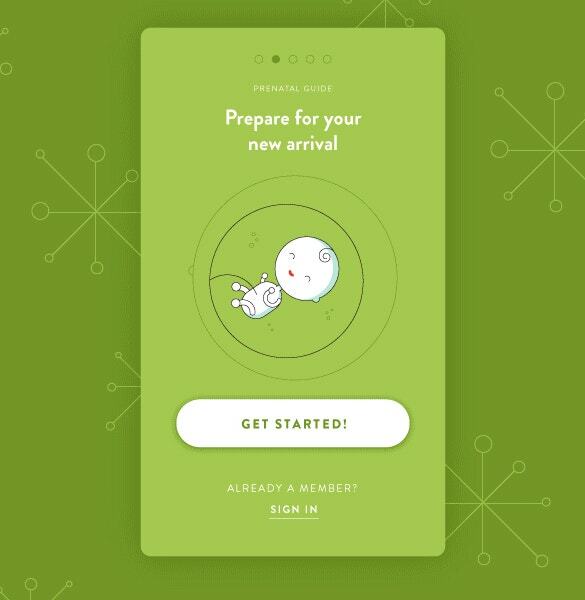 These onboarding screen by Dux Nguyen are amazingly bright and colourful. 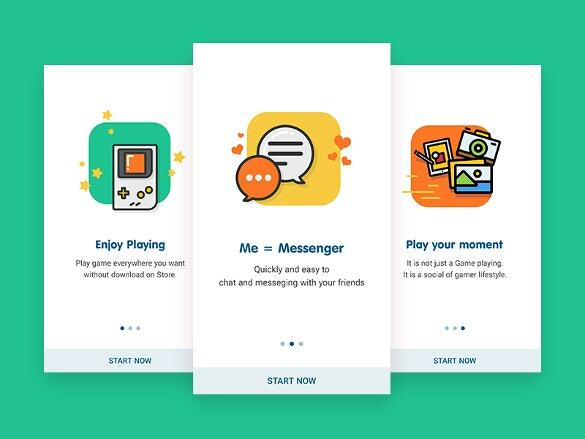 This app shows that you can play games and chat with this App. it is a right App if you are looking for an inspiration for your own gaming or chat site. 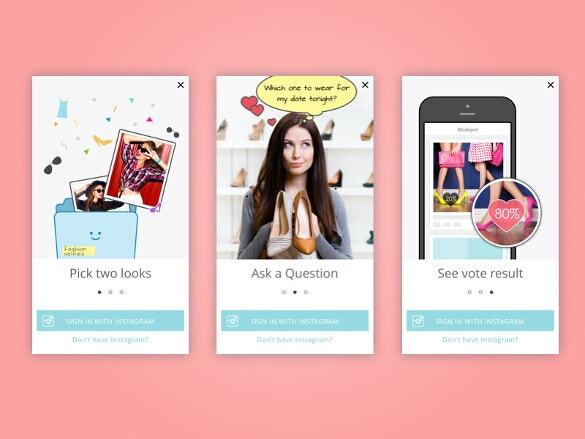 Modspot by Wenhui Yu is designed especially for the teenage girls. This is a fashion App. the colours and designs are incredibly appealing. Designer working for online shopping application can get inspiration from this. 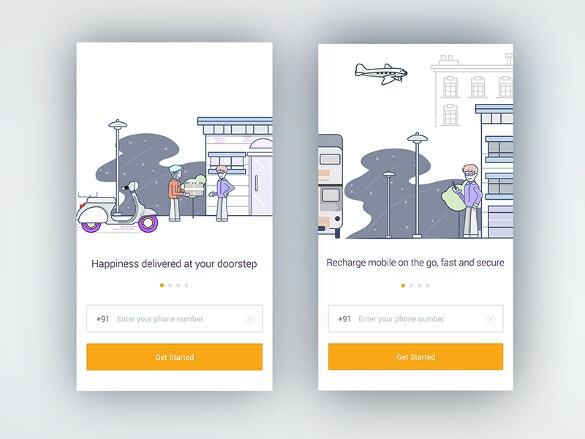 These are the top ten mobile Apps onboarding design for inspiration. If you are looking for a change you must go through these set of apps which are uniquely designed and implemented. The choice of colour, theme and design depend on your requirements. Design an attractive app so that users get persuaded to use them. Play with the colour choices. Go unique, fancy and trendy. That is the only mantra which will set you apart from the other designer. It all needs a little exploration and experiments to come up with a great set of design. Do not repeat the same mistakes which you might have got in earlier designs. Give it a human support services for a better mobile onboarding design. See this Native App & Hybrid App.